Do you all want to know who Madame LaLaurie was, what she did, where and when she lived, and for what was she famous for? If you want to get answers for all your questions, then, you have surely come to the right place for we are about to throw some light on this cruel personality who was known to be a ruthless and sadistic killer of her slaves. Born as Delphine LaLaurie, Madame LaLaurie was New Orleans’s most powerful slave owners and was born in 1780 to rich parents. 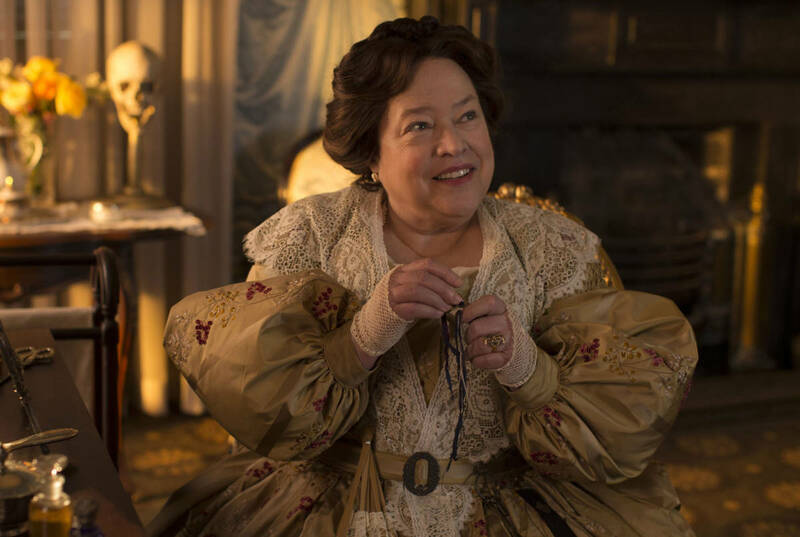 A graceful woman, LaLaurie, however, was dark and cruel. In the 1800’s her mansion became the talk of the town and came to be known as a ‘hell hole’ in which she tormented all her slaves. Most of her slaves underwent sadistic tortures at her hands, some of which were really appalling and will shock you. So, let’s get ahead and unveil some darker facts about her. Though, its not proven that LaLaurie pushed her 12 year old slave girl off the roof, but, given her ways of torturing her slaves, most people believe she murdered her. Slaves working with LaLaurie were so fearful of her that they, its assumed, would have chosen to die instead of being punished. In one unfortunate episode, a 12 year old slave called Lia committed the mistake of combing LaLaurie’s hair wrongly. This irritated Lalaurie so much that she went chasing after Lia, carrying a whip. The little girl got so scared that she lost her balance and fell off the roof, and died. Some say she jumped off in a bid to save herself from the hell that was waiting for her at her mistress’s hands. For those of you that have watched the gory and disgusting movie ‘The Human Centipede‘, reading this fact may turn your tummies and you may rush out to puke. LaLaurie was a ruthless and sinister woman who enjoyed inflicting gruesome pain and suffering on her slaves. In her mansion, she carried on her human experiments, one among which was her attempt to convert a woman slave into a caterpillar. When the mansion caught fire, people that cane running for rescuing the slaves, discovered many experiments that were kept hidden away in Lalaurie’s attic. One such experiment was a slave woman whose arms were found to be amputated and her body carved with patterns in circular designs. She resembled a distorted version of a caterpillar. It was not all as there was another woman who was found with her limbs broken and added at various points to give her a look of a crab. LaLaurie was so cruel that her victims prayed for instant deaths. But, alas, the woman didn’t grant them this wish. She let her victims hang for months at a stretch and let them die slowly and painfully. When fire broke out at Delphine Lalaurie House, people rescued many slaves from the attic, and found some slaves locked up in chains and hanging from shackles. These slaves were tortured at the hands of the slave mistress and hung for months at end. The fire, when it broke out at Madame LaLaurie Mansion, took the lives of many innocent slaves who were caught up inside their quarters. Many onlookers tried to save the slaves from the attic, but LaLaurie and her husband refused to give them the keys to open up the attic. The public went berserk and broke the doors themselves. But, whether they were successful in saving any slaves from there is still a matter of debate. Many people believe that the couple’s aim was to torment the slaves to the last breath, while, according to few, the couple didn’t want their evilness to be discovered by others. Hence, the denial to give the keys. 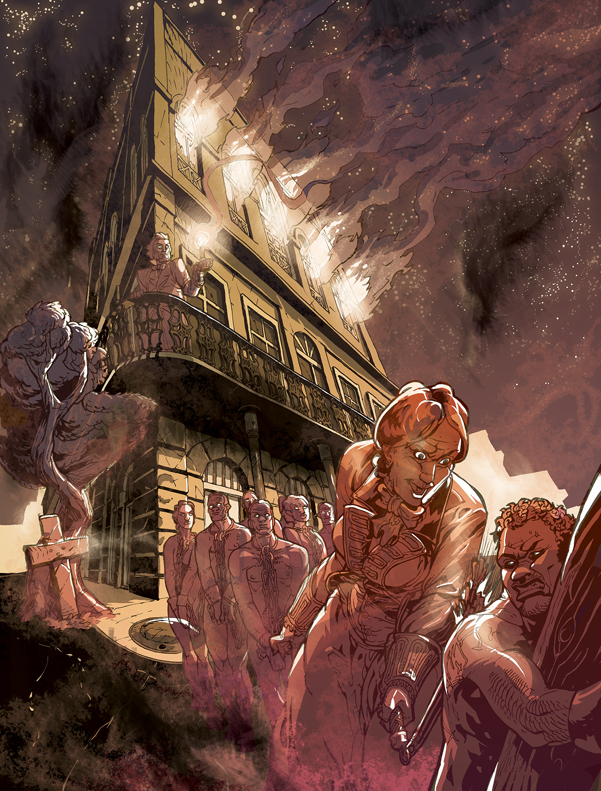 After the fire episode at the mansion, people ransacked the whole property only to discover mutilated bodies of slaves, some of whom had holes drilled in their skulls. One slave, its believed, was found to be breathing, but with a hole drilled in his head. Maggots could be seen crawling inside. Another male slave was discovered with a protruding stick from a drilled hole into his skull. It was concluded that LaLaurie may have used the stick to mangle the brain of the slave to torture him. 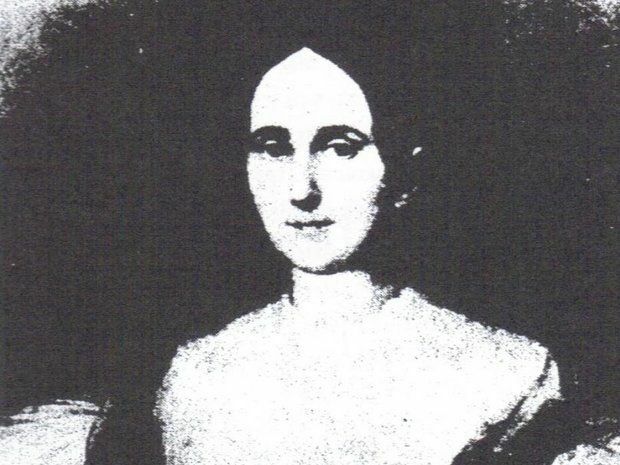 The death of the young girl Lia put LaLaurie and her husband to public scrutiny. They didn’t have any answer to justify the mishap. 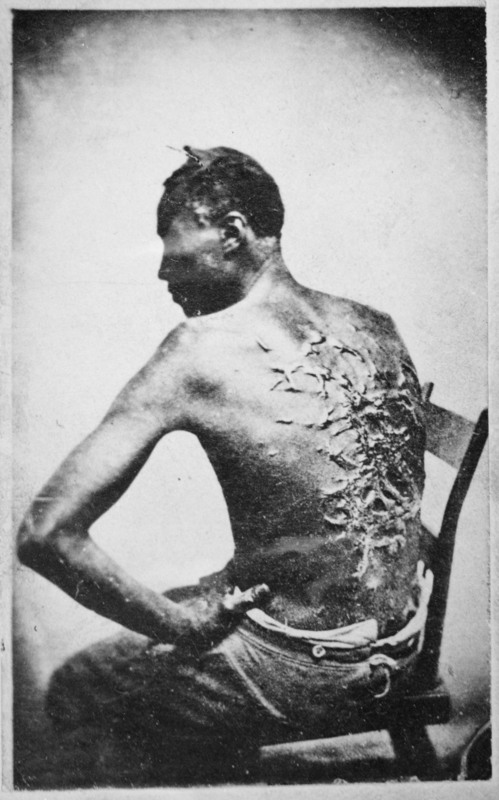 As a result of this, the state asked her to pay a fine of $300 for the disgusting and brutal treatment of her slaves. Her slaves were taken away from her and were auctioned to other masters. However, the couple soon arranged to get the slaves back to their mansion and the savage treatment continued. LaLaurie was a sadist who loved to torture her slaves to the hilt. She did many experiments on them so as to satisfy her hunger for inflicting pain on the innocent. If making a woman into a caterpillar wasn’t enough, here is another very brutal and weird torturous experiment she carried out on a few of her other slave women. The experiment that she conducted saw her slaves being hung from chains followed by disembowelment. Some people believe that she disemboweled the slaves and then took their intestines out to wrap these around their waists. Slaves were often hung for months to decay. When the renovation of the mansion began, the renovators discovered a number of bodies of slaves that had been buried alive under the floor boards. Those also included a baby’s body. The discovery led to the conclusion that LaLaurie had buried the slaves alive as a means to torture them. The bodies were removed from the mansion thereafter. LaLaurie had a penchant for collecting weird and brutal torture tools or devices. She was one of the most cruel tormentors of the 19th century when many kinds of toys and torture tools were sold easily, and without much scrutiny. LaLaurie got her hands on some of these devices, the worst of them being a spiky iron collar. 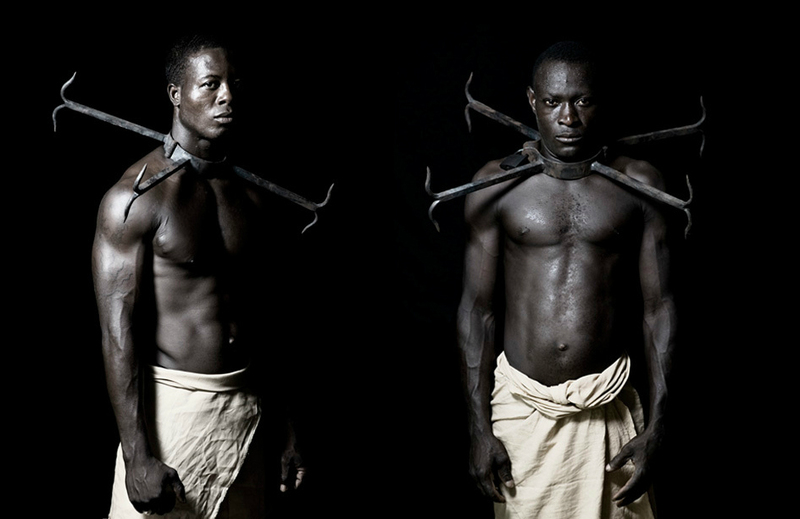 The collar was locked around the neck of a slave, and had spikes in the inner portion. These poked the neck whenever the slave would try to breathe. It was a painful torture device that ultimately led to a slow and brutal end. The slaves tortured by LaLaurie were once put up for public display. The display had many slaves, one of which was an old woman. The woman’s head had a very bad injury and made her walk poorly. The others too had various gruesome wounds on their bodies. The people that went to see the slaves were so appalled to witness the ghastly state of the slaves that the mansion was raided and the couple were driven out of the town. However, no one could ever arrest LaLaurie for she never returned back. Its an irony that the law system did nothing to put LaLaurie behind bars for the crimes she committed. A mob stormed the mansion and ransacked it badly, but, they failed to catch the couple. LaLaurie escaped to Paris after staying for a brief period in Alabama. She stayed in Paris freely and never got caught by anyone. Any slave that entered the attic torture chamber of LaLaurie’s mansion was never to be seen again. The attic was the infamous spot of the mansion where no slave wished to go. It was meant for all kinds of gruesome tortures that LaLaurie carried on and included hangings by chains, mutilating, disemboweling and starvation. The attic was a house of horror as the bodies of the dead slaves were left to rot. The LaLauries were never apologetic about the torturous treatment meted out to their slaves. Instead, the husband was all praises for his ever so graceful wife. Before fire damaged much of the mansion and the public ransacked it, it became evident that the LaLauries used to inflict various kinds of tortures on their slaves. The Delphine Lalaurie House is rumored to be haunted with various sightings of ghosts and spirits of the dead slaves. After the fire tragedy, the mansion was left vacant, and in those years, spread rumors of it being haunted. After the new owners shifted to the mansion, they reported of ghost sightings, eerie moans and painful shrieks. Their stay was very short lived. The mansion was then turned into a high school for girls, a music conservatory, a fashion school, the house of a crazy rich man called Jules Vignie, and lastly, a residential building. In all its forms, the mansion never appealed to its residents who kept complaining of ghost sightings and horrific attacks. Such monstrous was LaLaurie that she didn’t think twice before torturing her slaves to death. She went on tormenting everyone that ever worked in her mansion, and that included her personal chef, a woman of 70 years. She loved to imprison slaves, and to satisfy her hunger for sadistic pleasures, chained her chef to the stove. The old woman was kept chained for a long time which forced her to take a call that changed the lives of everyone, including the LaLauries. The cook set fire from the stove, and this resulted in a major breakout of fire in the mansion. This not only brought the brutalities of the LaLauries in the limelight, but also forced the torturers to run for their lives soon after. LaLaurie is believed to have had a massive grudge for her male slaves. She was a cruel woman who hated slaves, both men and woman. But her hatred for male slaves seemed to go over the top and was evident from her various brutal treatments meted out to them. She inflicted gruesome wounds and injuries on her male slaves, who, after the attic was opened, were found to be in unnerving conditions. 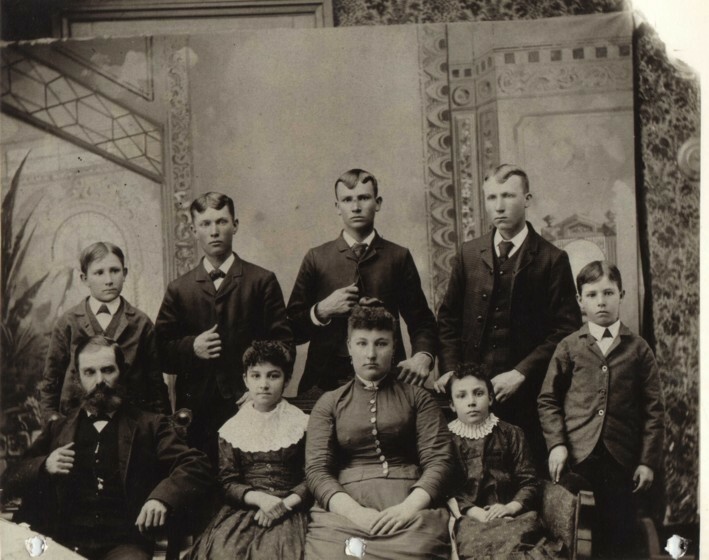 Some of these men had serious wounds on their heads. A man was found with a stick protruding out from one of the holes drilled in his head. Some males were found hanging from chains, while, others were left starved. Madame LaLaurie Mansion was once the residence of a famous Hollywood actor named Nicolas Cage who bought it for a brief period of time. He was at that time, writing a novel of the horror genre, and needed to find some inspiration and feel to get going. So, he went and lived in the mansion for a very short time. His novel never saw the light of the day and he sold the mansion. The mansion of LaLaurie was set on fire by her personal chef in the year 1834. The lady was so inhuman that she left her slaves to burn and die inside the attic in which she had locked them up for months. While, the couple fled from their mansion, the slaves in the attic were left behind to die a painful death. LaLaurie didn’t even show mercy on her daughters, who, at one point tried to feed the emaciated slaves. The lady lacked any kind of human emotions and could even torment her daughters if her orders were not followed. And that included ‘never to show mercy on the slaves’. When the attic was unlocked by the mob, a woman slave was found with her bones all broken up and mangled in an attempt to fit her inside a small cage. It was not only her, there were many other slaves whose bodies had been twisted and broken in odd angles that bore testimony to the fact that LaLaurie was in-fact a cold hearted serial killer. Another discovery was made of a woman with her arms and legs missing. While, many of the slaves were dead by the time the mob opened up the attic. But, these women were breathing and were in terrible agony. LaLaurie was not only the sole slave owner to have tortured her slaves in her time. Most other slave owners of 19th century were brutal and committed hundreds of killings and tortures. Most slave owners were known to be cruel and showed no mercy on slaves. The slaves, both, men and women were mutilated, hung from chains, and even flogged for even the most mundane mistakes. The above facts about Madame LaLaurie are all authentic, and will boil your blood with anger and disgust. If you think you have a few more interesting facts about her, do share them with us in the comments section below.